If you have an older laser printer, the only way to connect it to the network may be to connect it with an ethernet cable or some other type of hard-wired system. You can run the line straight to your computer if you only have one, or you can connect it to the central system, where it can be accessed by all of the computers in the office. For example, this is often done for small businesses because the office may be small enough that a hard-wired connect, which is cheap and stable, just makes the most sense. 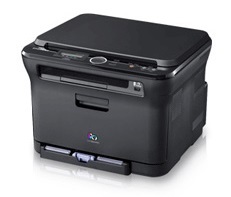 However, many modern printers can also be connected to the wireless network. They have network cards built right into them. You just need to interface with one computer and set up the options so that all of the other computers on that same wireless network can see the printer. This is usually done at colleges, for example. In a library, there may be hundreds of students working on their own laptops, and setting things up like this means that they get to print their papers without having to send them to desktops or printing stations. They can just connect and print from anywhere. It is important to note that doing this may still mean that you have to connect the printer with a cable at the very beginning, when you are installing the software and setting things up. You can then turn on the wireless card. Other printers have cards that automatically turn on when you start them up, and you never have to use a cable. It all depends on the model that you buy. Either way, though, you can use the printer on the wireless network from any computer with the right clearances in the future, so you shouldn’t have to do this twice. Speaking of clearances, it is also possible to apply a password to your printer so that only select people can use it. Others may still be able to see it when they are looking at all of the devices that are on the network, but, without the code, they will not be able to send it any data. This could be used in a school, office or even a home setting just to limit the amount of users. For example, you may not want your neighbor to be able to connect to and print from your home printer. Related to "The New Feature of Laser Printer"